As a volunteer for Benton County Farm Bureau,I presented a $250 garden grant check from Arkansas Farm Bureau to this Russell Jones Elementary School second grade teacher and her students. I was treated to a tour of their awesome school garden and they shared with me what they were learning about the garden and growing their own plants. I am thankful for enthusiastic teachers who invest their time and energy to teach students how food is produced using a practical hands on,get dirty approach! Who knows,there just might be a farmer in this garden of students! With the arrival of spring, I am thankful for warmer weather,the smell of fresh green grass and the miracle of new life on the farm! This baby Holstein calf was born just a couple of hours ago and being cared for by her mother while the dairy farmer watches over both. Tucked away in a collection of newspaper clippings and personal memorabilia of my mother-in law's personal keepsakes was this poem about the American farmer. We celebrate the bounty of food in America because of the farmers across our nation. I do not know who wrote this piece but I do know it was clipped from some type of farm magazine. 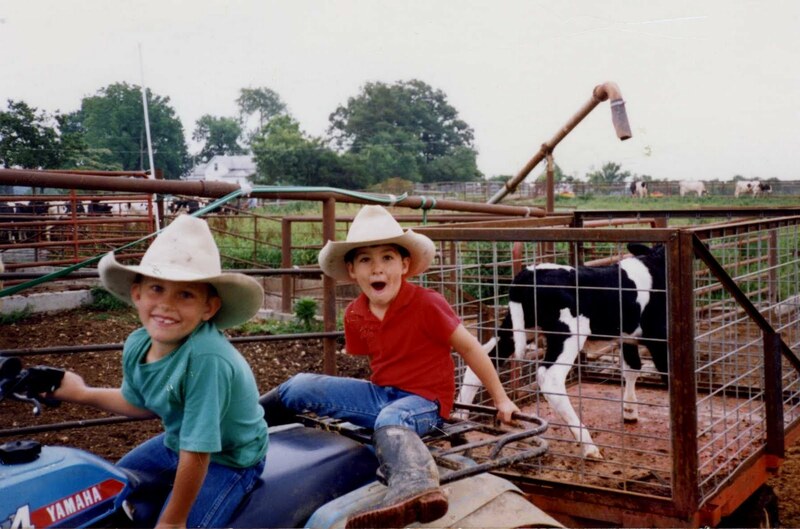 I am sharing this today as a tribute to all farmers and farm families that are working so hard everyday and embracing the challenges to provide food,fiber, and fuel for our citizens. I am only a farmer. I know the sun better than anyone. And the soil. And the wind. And the rain. I am the man who works with them. Who lives with them. Who loves them. And who sometimes fears them. I am only a farmer. I am the sower of seeds. I am the tender of stock. I am the reaper of harvest. I am sweat. And tears. And pride. I am only a farmer. I am the man the feeds the young. And the old. The weak. And the strong. I am the black earth of Spring. The green hills of Summer. The harvest gold of Autumn. And the cold white stillness of winter. I am only a farmer. I am warm memories of the past. The steely reality of the present. And a hopeful dream of the future. I am an optimist. A thinker. A watcher. And a doer. I am only a farmer. I live in a complex world. Made of simple things. And they are my source of joy. And hope. And comfort. I have walked the morning fogs. I have paused for the Summer song of the meadowlark. And I have savored the breeze off freshly cut hay. I have paused, remembering, by the stream I knew as a boy. I have felt the power of a thousand storms. And rejoiced in the fresh world left in their wake. I am only a farmer. I am an accountant. Chemist. And doctor. I am midwife.And mechanic. I am seller. Trader. And buyer. I am husband. Helper. And partner to my wife. I am father. Friend. Comforter. And teacher to my children. I am only a farmer. Not a man of riches. But a man of great wealth. I have learned to treasure life. And all things living. To respect their maker. And my own. I am humbled by the earth's bounty. And awed by endless rebirth. I am facinated by the marvelous intricacies of my world. And enriched by their beauty. I am only a farmer. If a man can be truly free, then I truly am. The day. The week. The month. They have been entrusted to me. They are mine to spend. They are mine to invest. They are mine to use wisely. It is a solitary profession I have chosen. Or,perhaps, that I have been chosen for. A profession where there are no certainties. Where no guarantees are granted. No promises granted. No promises given. No excuses taken. I have but one man to answer to. One man to depend upon. One man to confide in. And in the quiet of the years,I have come to know him well. I am only a farmer. In perserverance and creativity. And courage. I am only a farmer. I am confidence. And ingenuity. And intelligence. I am only a farmer. A seeker of excellence...And I will endure. Last week I was presented with my very own milk can as a remembrance for serving the past two years as Arkansas Farm Bureau Women's Committee Chairwoman. 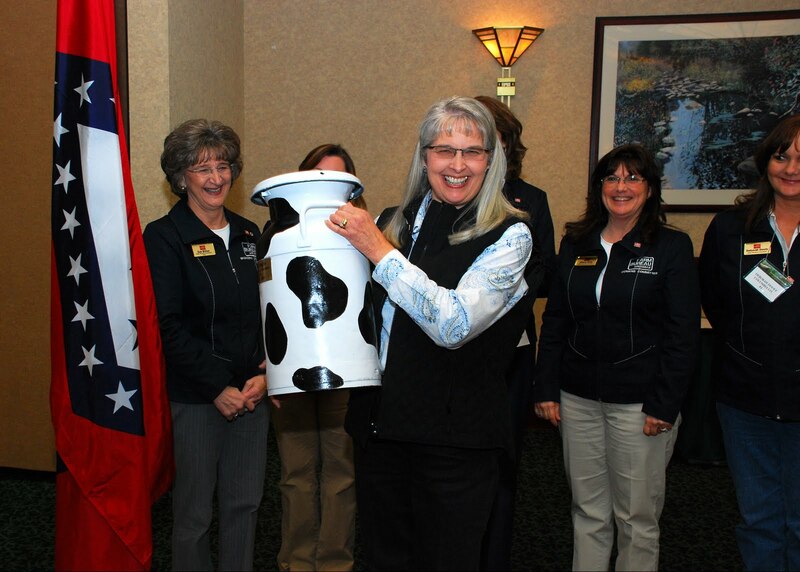 I am thankful for all the Farm Bureau Women that I not only call my friends but for the fact that we share our passion for agriculture through promotion and education in our communities across Arkansas! Dairy farm families across America are working every day to provide safe,high quality milk and dairy products. National Agriculture Day is a great opportunity to celebrate that fact and point out that while producing a great product, we are also caring for our land and animals. While American farmers are providing the safest,most affordable and available food, we are also providing jobs and economic support for our local communities. In a recent article about American agriculture, USDA Secretary Tom Vilsack stated,"Every one billion dollars in agriculture exports supports 8,000 American jobs, which means agricultural exports supported nearly one million jobs in 2010." Food security is important to all American families. With only two percent of our population providing food,fiber and fuel for all Americans, National Agriculture Day is a great opportunity to not only celebrate agriculture but share information about how we continue to provide for all consumers. 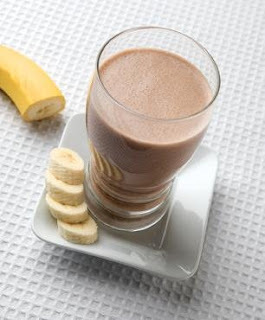 Get Moo-ving: Make a protein-packed breakfast shake by blending low-fat chocolate milk, a tablespoon of peanut butter,half a banana and some ice cubes. Or, make a smoothie with low fat yogurt, your favorite fresh or frozen fruit and a few ice cubes. Mix in a blender. Benedict Bagel: Layer a slice of ham,Swiss cheese and a poached egg on a toasted whole-wheat bagel for a protein packed breakfast. Breakfast Split: Skewer a medium banana, roll in your favorite flavored yogurt and then in whole grain cereal for a creamy,crunchy start to the day. 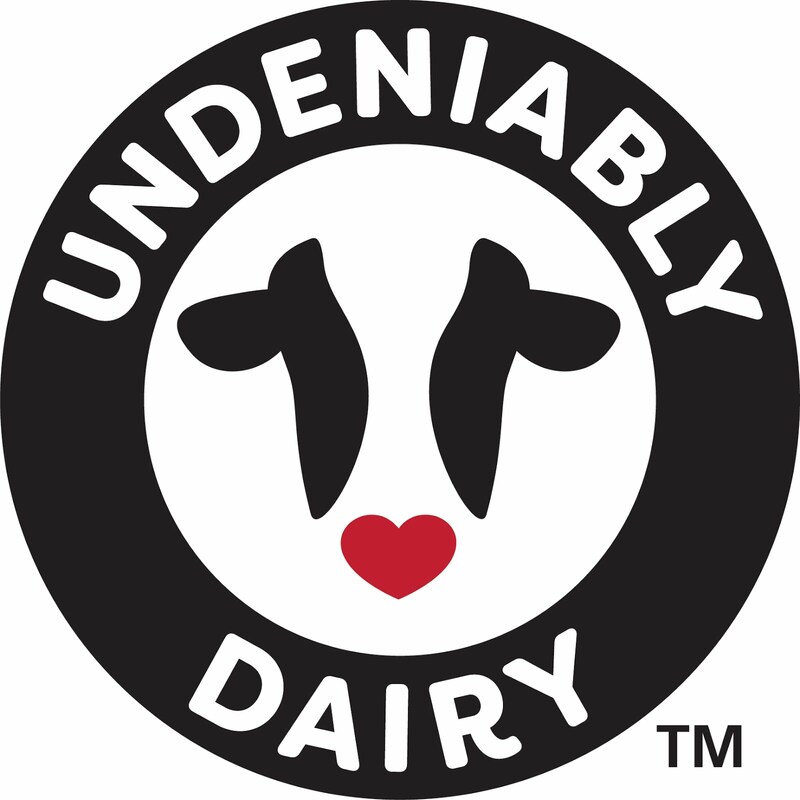 You can find more recipes and great information at http://www.dairymakessense.com/. Do you have a favorite breakfast to entice a non-breakfast lover? I'd love to hear from you! 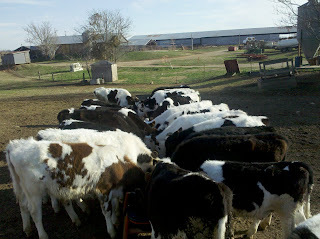 Hope you have a dairy good day! 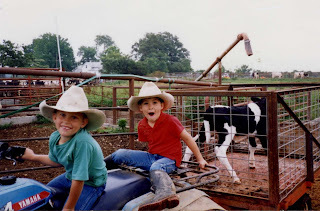 Yesterday these two boys were the young adult men in charge of our farm. I am thankful for being the mother of these two fourth generation dairy farmers! Noise induced hearing loss can be developed gradually as a result of chronic exposure or can develop suddenly as a result of a single impulsive noise exposure. While normal conversation is measured at 60 decibels, 85 decibels or higher is considered too loud. Hearing protection is recommended in the workplace if noise is at 85 decibels for exposures longer than eight continuous hours. Both the amount of noise and the length of exposure contribute to hearing damage. There are many styles of hearing protectors available but the best one to use is the one you actually wear! I hope you will find this information worth sharing with your family or co-worker because noise induced hearing is painless,progressive and permanent but it is preventable! 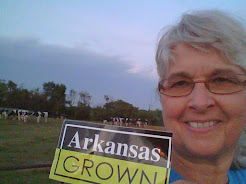 Did you know that Northwest Arkansas farmers grow premium Bermuda grass hay? Farmers in our county have actually won national hay awards for several years. Bermuda is a great forage that we grow to feed young calves,heifers and beef cattle. Hay production is a very important part of our farming operation. As much as we love it for our animals, it is not a welcome sight to me in the flower beds or vegetable garden. Even though we're still anticipating the first day of spring, yesterday's balmy weather took me to the flower bed where I was looking for the green tips of some new iris bulbs that I had planted late last spring. To my dismay, the entire bed was covered with a thick covering of dead Bermuda grass that had been allowed to grow crazy last summer. Bermuda grass in the flower bed or vegetable garden is a curse. It grows fast, loves full sun,can grow in a drought,and has a root system that invades any where it is not welcome. As I was pulling the grass out of the flower bed, I thought how ironic that tonight is the awards banquet for the premium Bermuda hay producers in the county. It's a love-hate relationship for me!